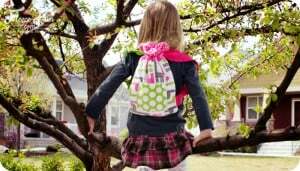 Free Sewing Patterns: This collection of sewing patterns for kids are all free patterns with step by step by step picture tutorials. Many also have a video to make it easy and straight forward.Easy to download pdf patterns. 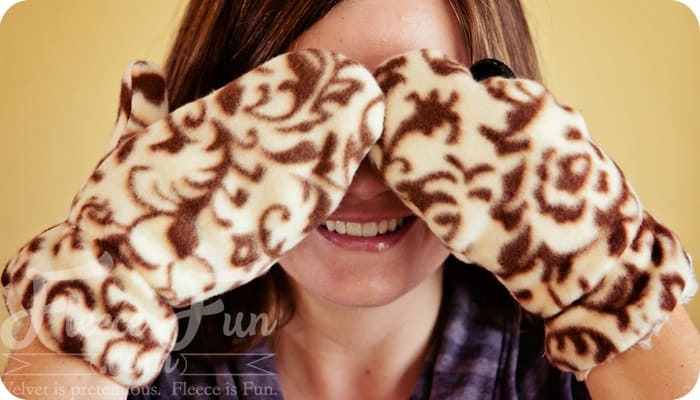 Here you’ll find all the free sewing projects available on Fleece Fun for children. From skirts to capes there’s a pattern to help improve you little one’s wardrobe. 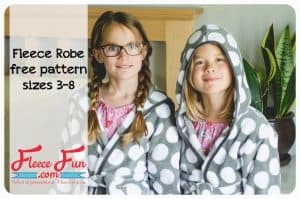 This child robe pattern is perfect for keeping your little kiddo warm on a cold evening. Easy to sew up this warm robe in comfortable. Grab the free pattern and tutorial here. 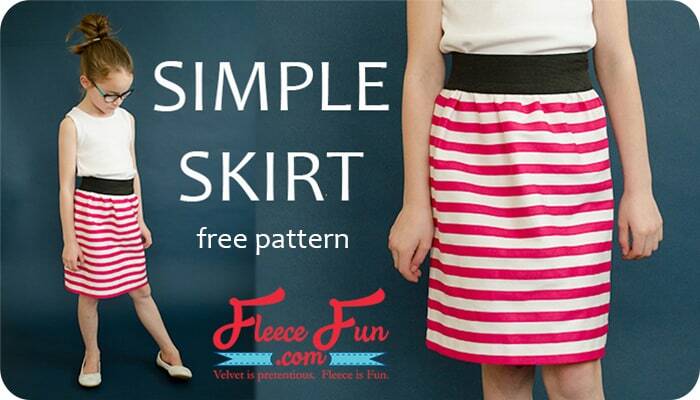 This cute skirt comes in sizes 7 to 14 for your tween. Can sew it up in under 30 minutes. Get the free pattern here. 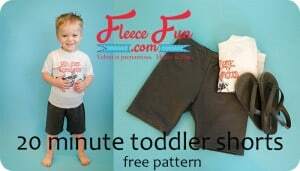 This easy shorts Toddler sewing pattern comes in sizes 18 months to 4T. Get the free pattern here. 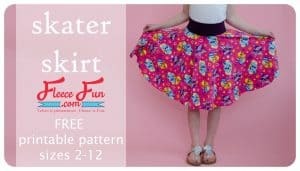 This cute circle skater skirt is easy to make and has an easy to follow pattern in sizes 2 to 10! Get the free pattern here. 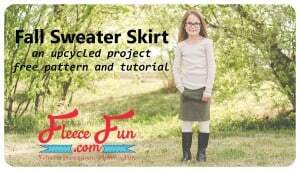 Upcycle an old sweater and make a cute skirt for fall! Get the free pattern and tutorial here. This skirt is light, comfortable and a dream to sew. You can make several for your sweet little girl. Get the Free pattern and tutorial here. Perfect for fall laying this cardigan comes in sizes 2 to 7! Get the free pattern and tutorial here. This adorable apron is perfect for your little chef. comes in three child sizes for a perfect fit. Get the free Pattern and video tutorial here. Perfect for pajamas, lounging and playtime. These pants work great for boys and girls. These pants can also be made from jersey knit. Video tutorial makes this easy pattern a snap. You can make several in one sitting. Sizes 3 months to 5T. Get the free pattern and video tutorial here. These pants are so cute, everyone will think you got them from a boutique. Fun and girly your little girl will love dancing in them. Sizes 3 months to 5t ( and an 18″ doll size too!). Pants can be made from fleece or jersey knit. Get the free pattern and video tutorial here. Bouncy, ruffely and frilly this skier is pure fun. Looks great in pictures paired with the mini top hat! One of the “fleece free” sewing patterns for kids made from tulle and cotton. Get the Free pattern and tutorial here. Perfect pleats and design make this skirt and instant classic. Can be made from fleece or jersey knit. 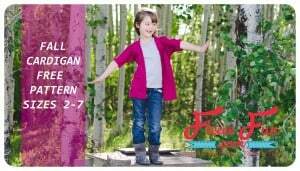 Sizes 12mo to 5T. Get the free pattern and tutorial here. 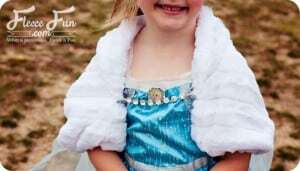 Inspired by Disney’s Frozen this little jacket will help keep your little one warm ( the cold might not bother Elsa – but it might your kiddo!) Get the free pdf pattern and tutorial here. 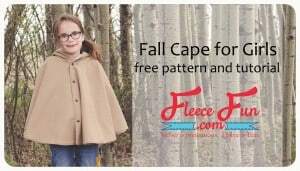 This easy to make cape is a wonderful extra layer for fall weathers. Get the free sewing pdf pattern here. Inspired by Princess Anna’s Cape from Disney’s Frozen. 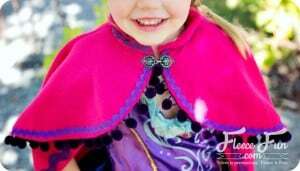 This adorable cape will make your little girl feel like the princess that she is. Plus it will keep her warm while trick or treating! Get the free pdf pattern and tutorial here. This fun cape is versatile. Works for boys and for girls – just swap the ribbons for a button to make more masculine. Sizes child and adult. Get the Free pattern and video tutorial here. 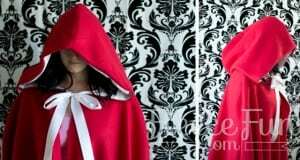 This adorable cape is made from cuddle fleece – it’s like wearing a cuddle blanket! 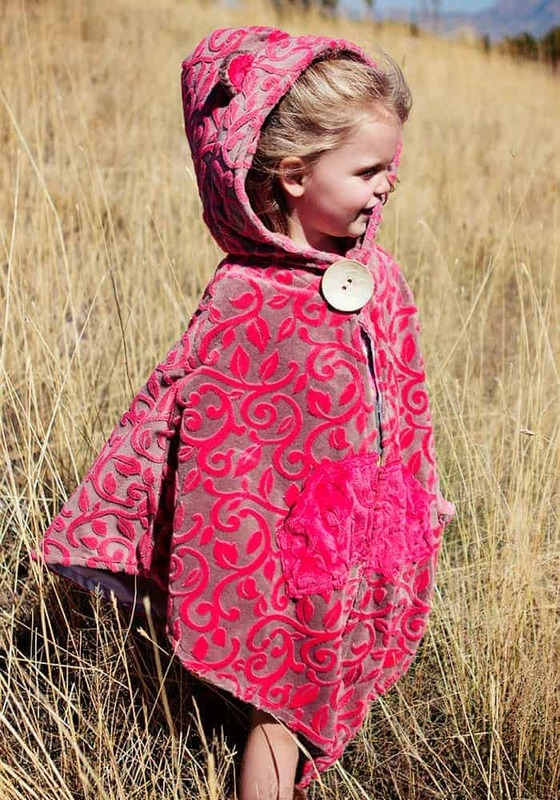 With the soft hood that has the option of adding bear ears, cat ears or horns, this cape is so cute on little ones. The design of the cape also works well with car seats, allowing restrains to sit beneath the cape, keeping the bulk out of the way for child’s comfort. Get the Free Pattern here. This towel wrap is perfect for the bath or the beach! Learn basics to working with terry cloth, and how your can make this cute wrap in an afternoon! You can get the tutorial here. 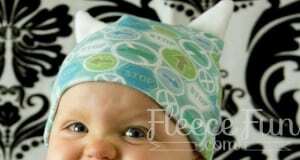 This pattern is full of fun character hat variations that will look adorable on your little one! Be a dinosaur, a viking, a cat or bear. This pattern is simple and easy to sew. The possibilities are endless! Sizes baby to adult. 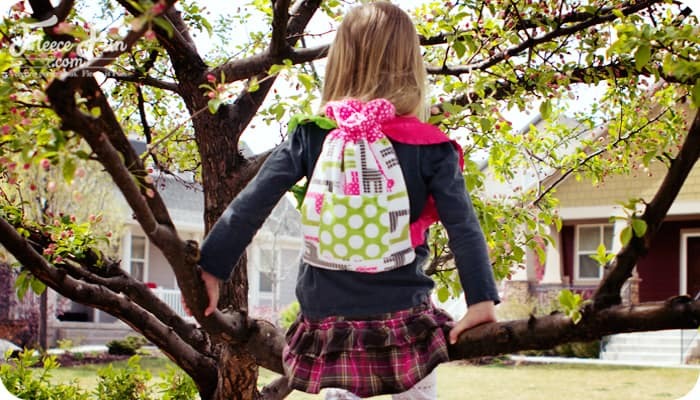 Get the free kids sewing pattern and video tutorial here. The simple version of the hats in the Halloween hat pack. 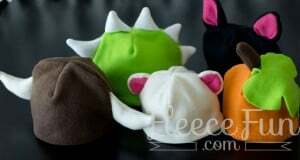 this hat is easy and perfect for your little monster I mean kid. Get the free pattern and video tutorial here. 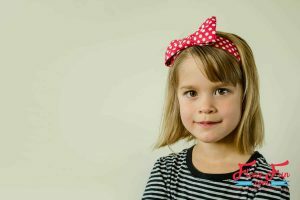 This cute head band is an easy to make accessory perfect for adding some style to a little girl’s outfit. Get the tutorial here. Adorable easy sew purse with pockets to keep trinkets and secrets in. Ruffle fabric can be used in addition to fleece for added flair. Comes in a kid pattern size and adult. Get the Free Pattern and tutorial here. 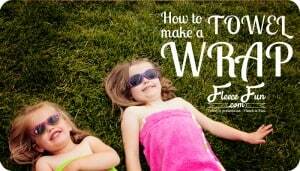 This pattern is easy, fast and adorable on little girls! Also comes in an adult size. Great scrap buster for leftover ruffle fabric. Get the free Kids sewing pattern and tutorial here. This ties is a great fleece scrap buster, cute and washable! 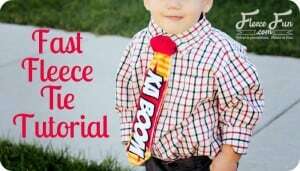 Have your little man make a statement with this easy to make tie. Get the tutorial here. You might also like this collection of free sewing patterns for children courtesy of Andrea’s Notebook. Hi, I want to make a fleece hat to go with my sons’ halloween costumes but I am not sure whether I need to use the baby or child pattern. Their head circumference is 19in. The Measurements are for the circumference of the head. So the measurement you would get if you too a measuring tape and wrapped in around a person’s head. Please not that fleece can have varying amounts of stretch to it. 1. I would love to make the fleece pants for me, an adult, would you ever consider uping the pattern size for adults? 2. My child LOVES footie pajamas and I can’t find a simple pattern that I like. I love your patterns b/c they are so simple for me to follow plus you have those awesome video tutorials so I can rewind and play again and again 🙂 Would you ever consider a footie pajama pattern?? Thanks for your wonderful patterns and guidance! In the mean time I hope you’ll enjoy what’s available! 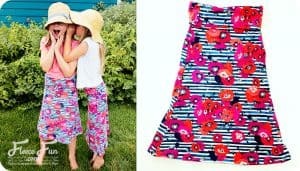 Do you plan to make a shirt (pajamas) that can go with the basic child pant pattern soon? I’m just thinking that if i can make a pajamas shirt for him, that would look very good because I still have a little bit fabric left from making a pant for him. I would be really happy and much appreciated if you can make one. Thank you again! You are very talented and video tutorials are really great. It’s easy to understand more than reading the instructions. Your hat patterns are great! I just have one question, in one of the other posts you mentioned a child’s medium fitting a size 5T. I don’t see a hat pattern in a size medium. Am I missing something? Hmm, that must be a mis-print on my part. for a 5t I recommend the child large size. Yes just use the expander pack twice (or possible three times) and it should work for you. Thank you for your awesome tutorials. You were able to teach me how to read a pattern as well as make my Halloween costume last year. This year I have used your pattern for hats to make my sons minion costume complete. 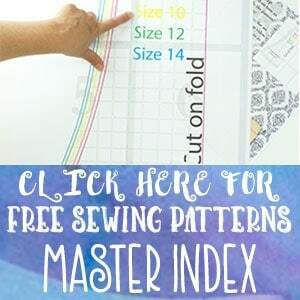 LET ME CONGRATULATE YOU , IT IS AN EXCELLENT SITE FOR PEOPLE WHO KNOW TO SEW, AND IT IS FOR FREE, IT IS INCREDIBLE, THANK YOU TO SHOW THIS FOR FREE. please can you tell me an on-line store who sells fleece to make all your projects, and ships worldwide or to Portugal, Europe. 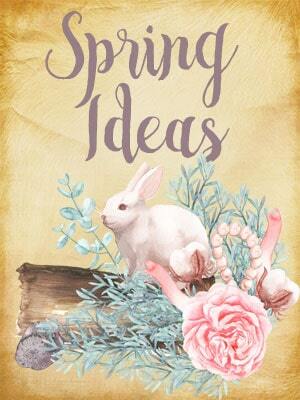 I have enjoyed learning new things to do with fleece while looking at this site for ideas and easy tips. some of my favorite sites to try are AllFreeSewing.com and FreeNeedle.com . Good luck! 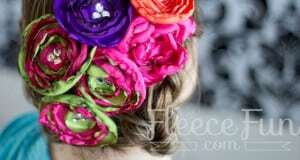 Hi ths is really awesome. Thank u so much. I saw ur ribbon hat video. But I din understand how u made a whole to insert a ribbon please mention that clearly. You can either make a buttonhole or you can snip a slit and sew a zig zag stitch around it to reinforce it. Hi you have beautiful easy pattern instructions . Do you have an easy pattern for baby/kids fleecy jackets/pullovers? I really want to make that pattern. Hopefully soon.